Get the powerful SuiteCRM system installed and delivered on a dedicated Dell PowerEdge server. Deployed behind the firewall and integrated with the office network. 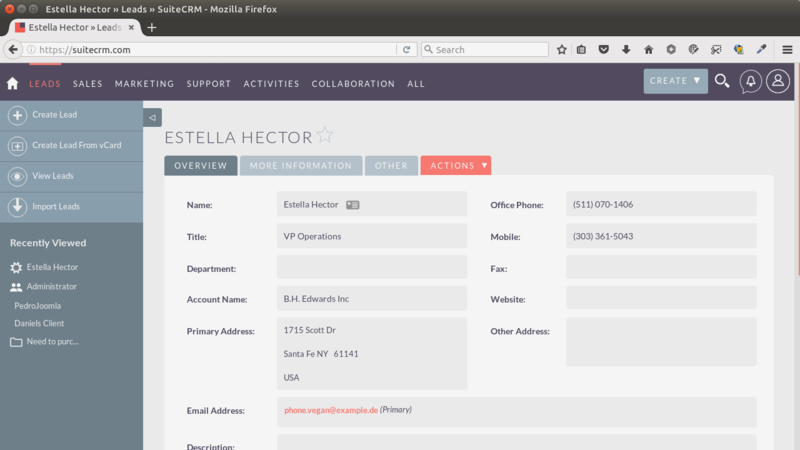 SuiteCRM is a complete solution for the sales force and marketing teams. Measure the outcome of marketing campaigns and track the results of lead generation on the sales side. At its core, SuiteCRM is a storage vault for customer records and interactions. 726 Tech has partnered with SalesAgility (the creator of SuiteCRM) to offer this world-class solution. Copyright (C) 2017-2019 726 Technology Inc. All rights reserved.